FOR THE 2004 ELECTION, my friends and I — despite an interest in politics — couldn’t think of a great place to spend election night. We decided to camp out in front of the television with two bottles of Boone’s Farm (one red and one blue) and do a shot of the appropriate colored drink. Needless to say, that plan did not work out well, and I’ve spent the last four years trying to think up a better way to spend Election Night 2008. Dixville Notch, a town of just 75 people, is the first place in the U.S. to declare its results in every Presidential election. The entire town gets up and votes at midnight, allowing them to declare their results immediately. There are a few other small towns that follow midnight voting traditions, but Dixville Notch has been doing it continuously since 1960. The results often lead the morning news on Election Day. 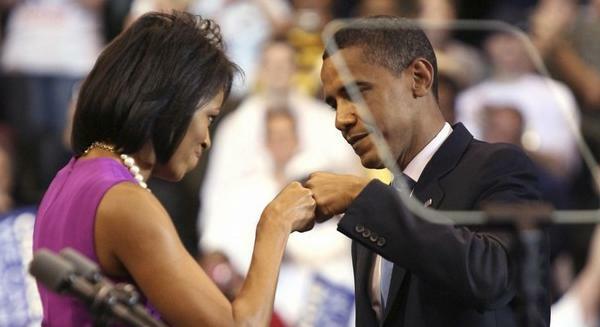 Anyone with access will be trying to get into either Barack Obama or John McCain’s campaign party on Election Night. Odds are good that one of those campaigns will have reason to throw one heck of a shindig. But the real party might be at the Libertarian candidate’s headquarters . A decent showing is all it will take to make Barr’s party cheerful. And Libertarians, as a rule, know how to throw good parties. The Green Zone may not be the safest place in the world to watch the U.S. election, but it may be one of the most meaningful. 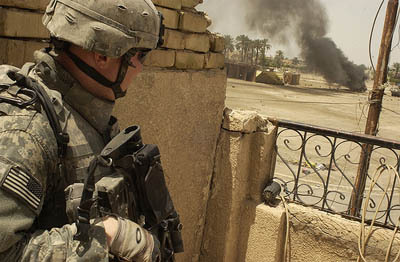 Depending on the results of the election, the nature of U.S. involvement in Iraq may change beyond all recognition. Any school with a political science department will be throwing some sort of watch party and will probably have some free pizza you can mooch while you’re at it. Pick one where an actual poli sci professor will be in attendance — you’ll get far more colorful commentary than CNN can get past the censors. The Silver Reef Casino is not on this list for any particular merit of its own. However, it offers a particularly nice dinner about twenty minutes from the Canadian border. If you’re planning an expatriate lifestyle if one candidate or another wins — I’ve already heard it from both sides! — you could stop worse places than Ferndale on your way to Canada. We forget sometimes that there will be other names on the ballot besides the Presidential candidates. All 435 seats in the House of Representatives are up for grabs, and Texas-22 will be the hardest race of them all. Republican Tom DeLay, ex House Majority Leader who resigned because of corruption, gave up this seat in 2006 and it’s been a bone of contention ever since. Republican Pete Olson faces off against incumbent Democrat Nick Lampson. Nobody’s willing to make a bet on who will actually win, and there are predictions that this will be a tough race for both candidates. 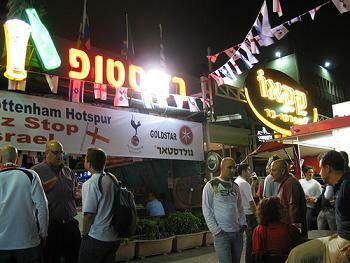 Mike’s Place is a bar popular with both locals and expats in Tel Aviv, as well as American visitors. It’s right next to the American embassy and is beach-front property if you need a break from the electoral count. There’s no doubt that the next American president will have some opportunities to further the Middle East peace process, and the best place to hear about it is on the ground at Mike’s. A word of warning — Mike’s was the target of a suicide bomber in 2003, so check the U.S. State Department’s advisories beforehand. A moving documentary was made about that night, Blues by the Beach. Most precincts are still looking for election judges for the general election. You can sign up at the local board of elections and, depending on what state you live in, you can even get paid. Talk about democracy in action — election judging gives you the opportunity to not only see how voting works but might give you the chance to count a few votes, too! If you want to watch the votes roll in from start to finish, you really should start at 6 p.m. EST. You’ll have a long night ahead of you, though: in 2004, George W. Bush wasn’t declared winner until 11:30 a.m. on Wednesday. It makes sense to go to a time zone where breakfast occurs about the time the polls are closing. You don’t even have to leave American soil to do it. Guam is a U.S. territory and is on Chamorro Standard Time, where 6 p.m. translates to 9 a.m. ChST. The Old Hagatna Grill, located in Guam’s capital, opens at 6 a.m. local time and it doesn’t close until 11 p.m.
No matter where you plan to spend Election Night 2008, don’t forget to vote! If you’re planning on going out of town, make sure to complete an absentee ballot, available through your state’s website. Interested in organizing a trip to one of these places or setting up a local watch party? Post a notice about it at Matador’s forum.